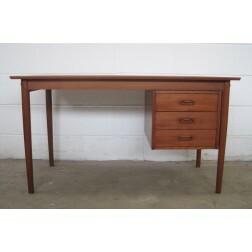 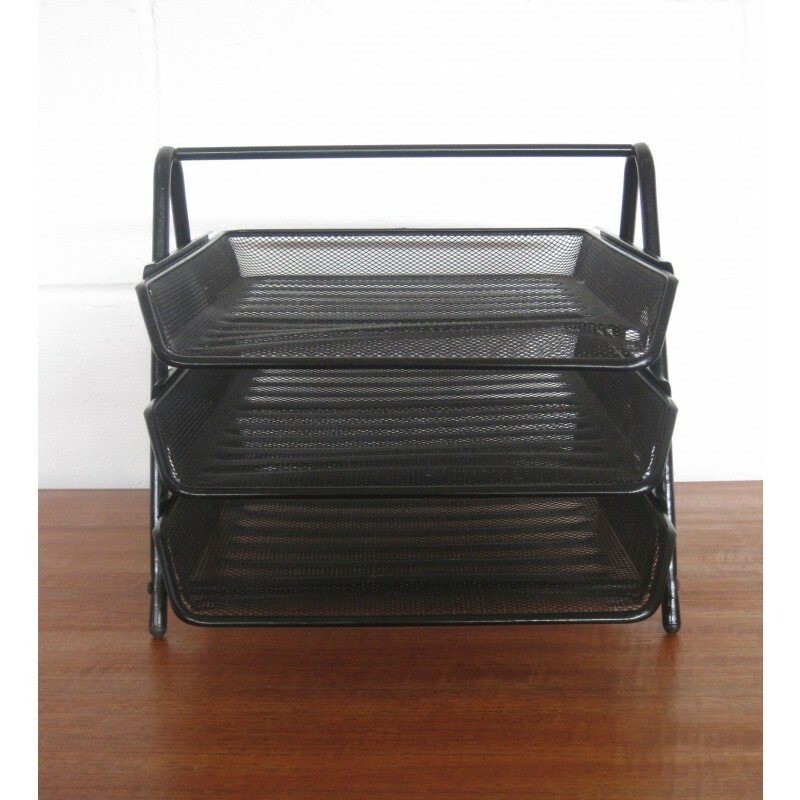 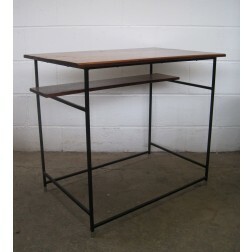 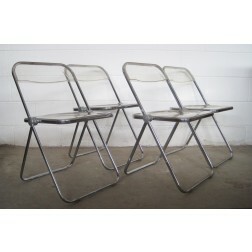 Perforated black metal filing rack in the style of Mathieu Mategot c1970s - England. 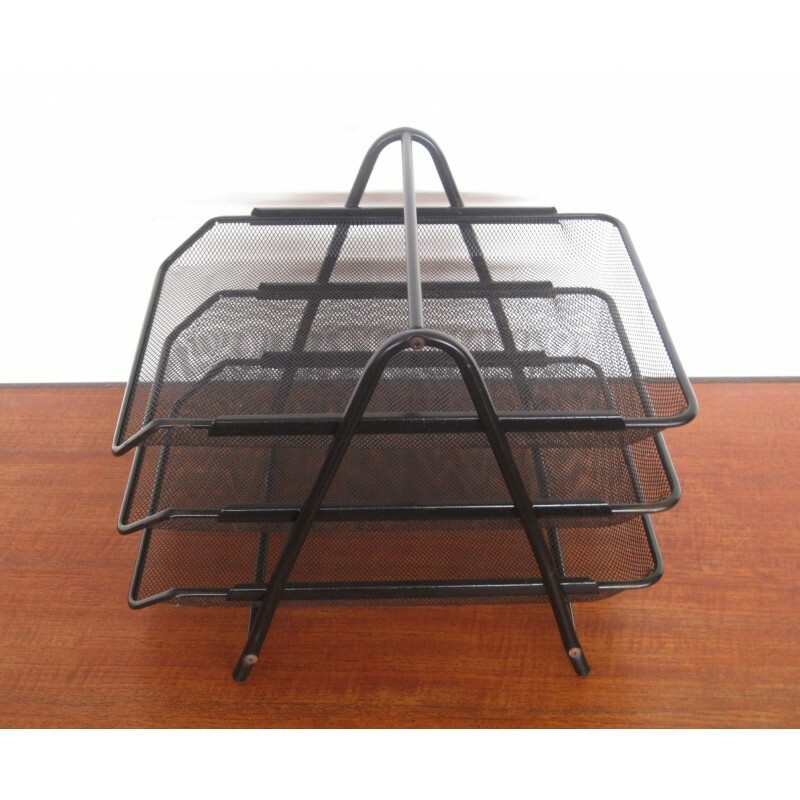 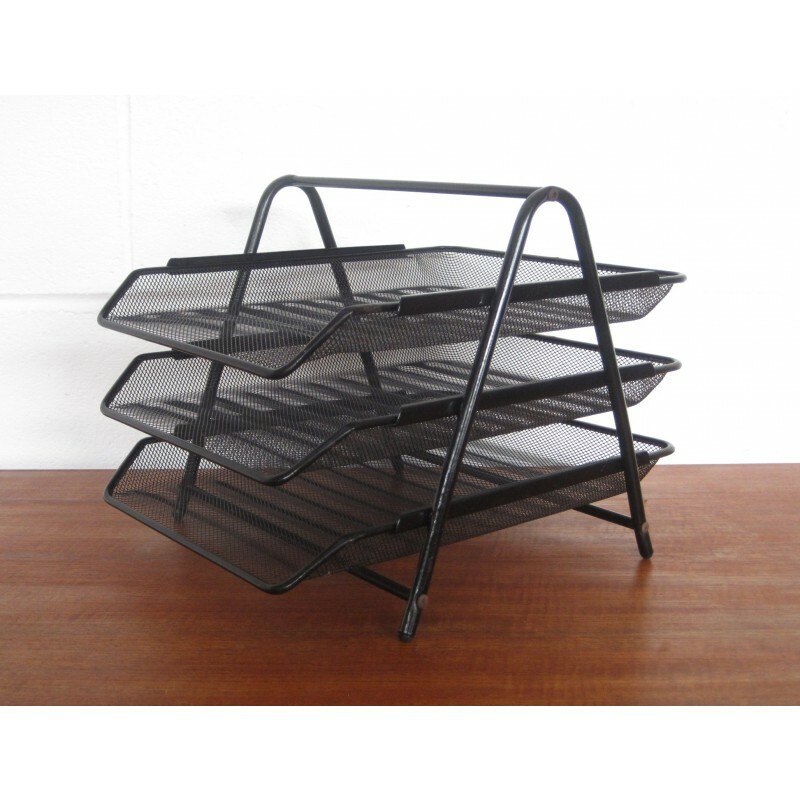 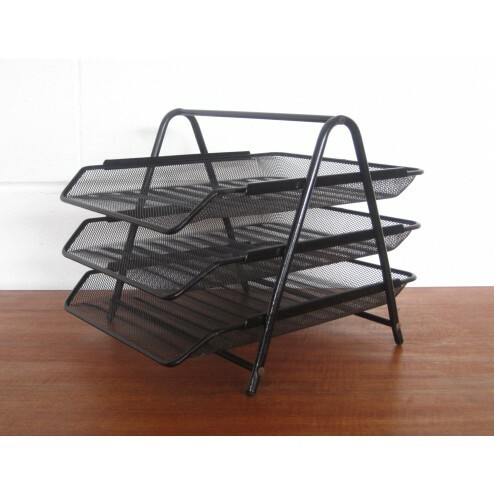 Removable 3 tier tray system in a black painted metal frame. 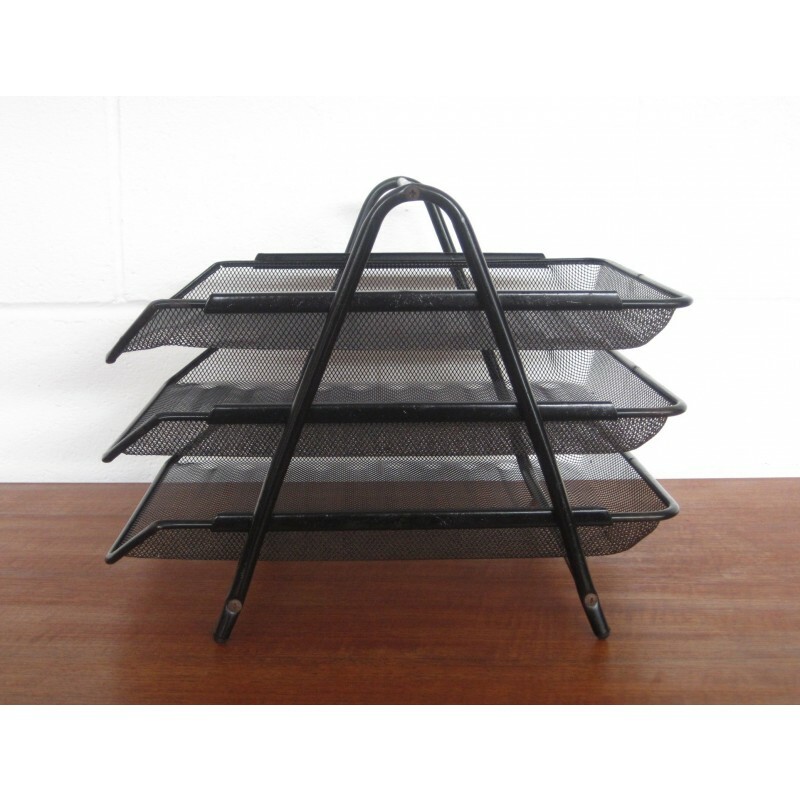 Some slight rust to frame & trays. 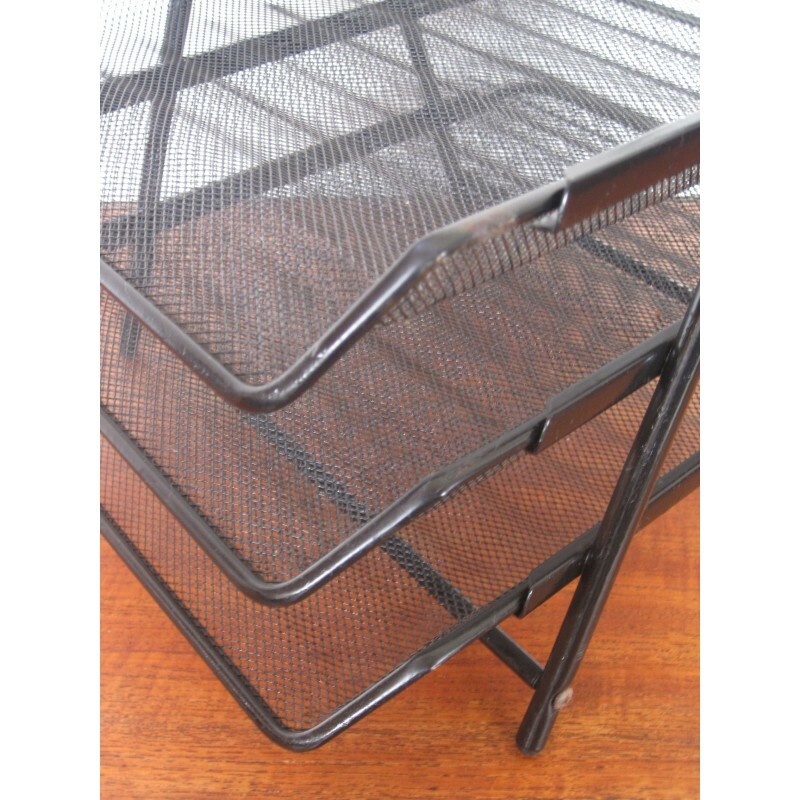 The can be dismantled for easy shipping.